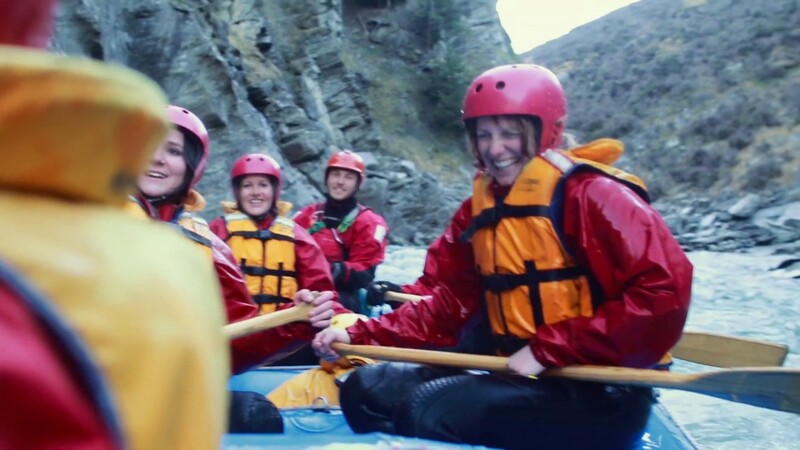 Join Go Orange on the iconic Shotover River for a whitewater rapid adventure. Boasting 4 brand new departures daily at unsurpassable prices. Take on the rapids in Queenstown from just $189 this season. Start with an unforgettable coach trip through Skippers Canyon, famous for it's exciting cliff edges, enough to get your adrenaline pumping before we hit the water. Experience grade 3–5 whitewater rapids in one of the most scenic environments in the world. The rapids can change on a daily basis, but be assured our guides are expertly trained and have a keen sense of adventure. They will guide you through canyons, navigate the rapids and the famous 170m Oxenbridge tunnel to finish. Enjoy a hot shower at Rafting Base before returning to Queenstown. Go Orange will be taking on the Shotover River FOUR times a day and the Kawarau, twice daily. The days are longer, the sun is shining and we are ready to face the rapids. Our prices have also changed, giving you the chance to save a few dollars, should you need to squeeze in another activity during your Queenstown holiday. Our trips are all half day trips, meaning we will have you back in Queenstown centre before you know it, exploring more of our playground. "Great time rafting Shotover River"
We had a blast rafting the Shotover River! Both of us was first timers and the shotover river was deifnatley the right choice so trust me take this river instead of the kawarau! "Wowzer, what a thrilling ride!" "Must do in Queenstown for water/adventure lovers!" Such a fun half day activity, come rain or shine! It honestly doesn’t matter if it’s raining because well, you’re gonna be white water rafting so you WILL get wet. The 40 minute journey to get to the river is stunning itself, and will take you down one of the worlds most dangerous roads! The river that you rafr down is situated old gold mine area so you get an insight to how the area used to be in the gold rush days. Staff are highly skilled and professional, as well as knowledgeable about the river and it’s surrounding area. This is definitely a must do when visiting the adventure capital of NZ. In case you haven't found the information you were looking for, we've put together some of the most common questions our customers ask about our experiences. If you need more specific answers, please contact us directly. Can I participate in whitewater rafting? We have a minimum age of 13 years. You have to be between 40kg - 120kg. Please check the Terms & Conditions. What time do the rafting experiences depart? In Summer, we ramp up the rafting. We raft the Shotover River four times a day and the Kawarau River twice daily. We depart for the Shotover River at 8am, 10am, 1pm and 3pm the Kawarau River will leave the shop at 9am and 2pm. Please check in at our Shotover Street store 20 minutes before these departure times. In Winter, we depart for the Shotover River at 8am and 1pm. The Kawarau River will leave at 9am.